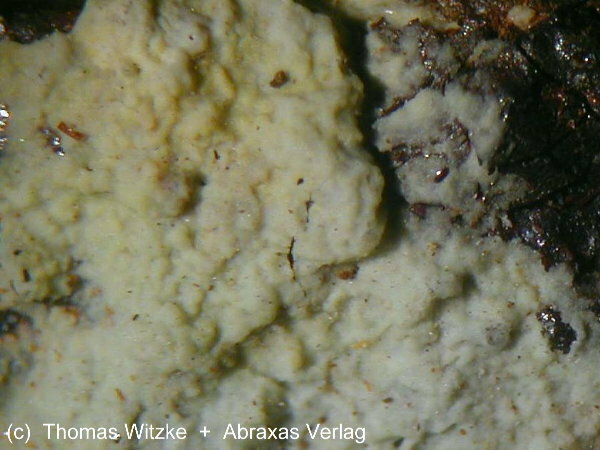 Nickelhexahydrite: Mineral information, data and localities. 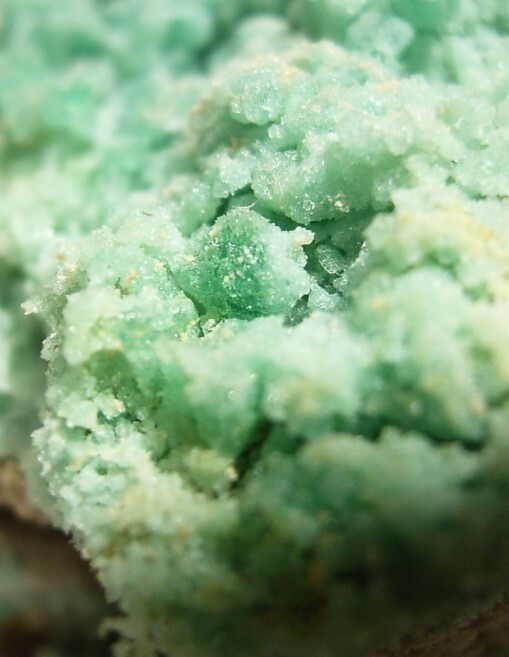 Named for its relation to hexahydrite and ferrohexahydrite, and for its nickel content. Oleinikov, B.V., Shvartsev, S.L., Mandrikova, N.T., Oleinikova, N.N. 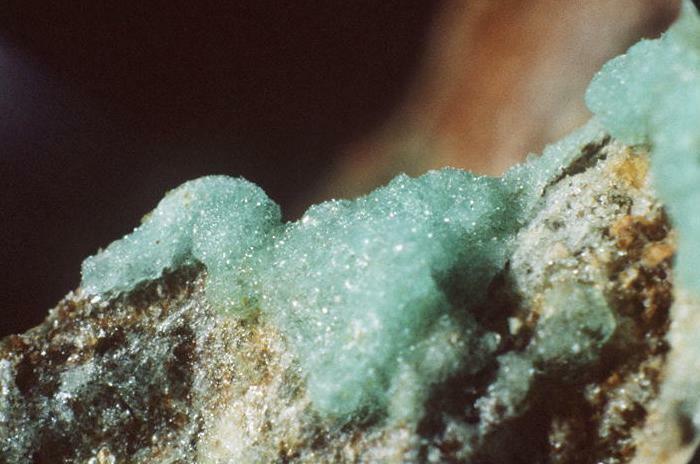 (1965) Nickelhexahydrite, a new mineral. Zapiski Vsesoyuznogo Mineralogicheskogo Obshchestva: 94(5): 534-547. Retgersite 4 photos of Nickelhexahydrite associated with Retgersite on mindat.org. Vajdakite 2 photos of Nickelhexahydrite associated with Vajdakite on mindat.org. Morenosite 1 photo of Nickelhexahydrite associated with Morenosite on mindat.org. Pennine 1 photo of Nickelhexahydrite associated with Pennine on mindat.org. Chalcostibite 1 photo of Nickelhexahydrite associated with Chalcostibite on mindat.org. 25.12.4 Moorhouseite (Co,Ni,Mn)SO4 · 6H2O Mon. 25.12.9 Nickelzippeite Ni2(UO2)6(SO4)3(OH)10 · 16H2O Mon. 25.12.11 Honessite (Ni1-xFe3+x)(OH)2[SO4]x/2 · nH2O Trig. 25.12.12 Hydrohonessite (Ni1-xFe3+x)(OH)2(SO4)x/2 · nH2O Hex. Fleischer, M. (1966) New mineral names. American Mineralogist: 51: 529-534. Nawaz, R. (1973) Nickel-Hexahydrite from Tasmania, Australia. Mineralogical Magazine: 39: 246-247. Gerkin, R.E., Reppart, W.J. (1988) Structure of monoclinic nickel(II) sulfate hexahydrate. Acta Crystallographica: C44: 1486-1488. Angel, R.J., Finger, L.W. (1988) Polymorphism of nickel sulfate hexahydrate. Acta Crystallographica: C44: 1869-1873. Bermanec, V., Sijaric, G., Kniewald, G., and Mandarino, J.A. (2000): The Canadian Mineralogist 38, 1371-1376. Lapis 2002(7/8), 52; Sehrig, M. & Dietel, J. (2011): Silber, Uran, Arsen und Heilquellen: Auf Mineraliensuche in Jáchymov, einem der ältesten Bergwerke der Welt. Lapis 36 (7-8), 67-71; 86. Karup-Moeller , S. 1973. nickelhexahydrite from Finland. Bulletin of the Geological Society of Finland 45, 155-158.
ⓘ Evje og Hornnes ? Fehér B., Szakáll S., Kristály F., Zajzon N. (2016): Mineralogical mosaics from the Carpathian–Pannonian region 3. Földtani Közlöny 146, 1, 47-60.